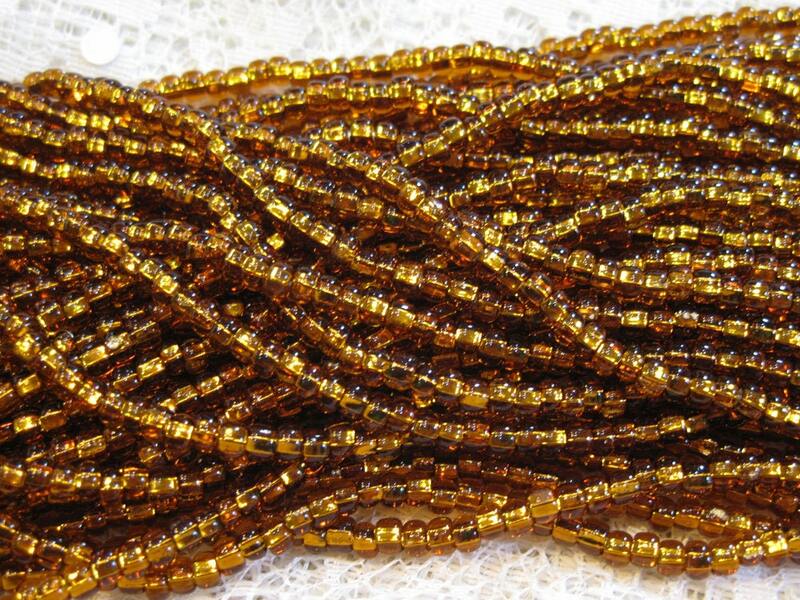 Topaz silver lined size 6/0 Czech glass seed beads. Size 6/0 beads measure 4mm (also referred to as E-beads). Nearly 12 grams of beads on a 19 inch strand, about 9 beads per inch....that's around 170-180 beads!. Plenty of beads for your beading, knitting, crochet, fiber arts projects! This is exactly what I wanted! Fast shipping and beautiful product! Very bright shiny bronze. Can't wait to use them. Good beads. Great shop and quick shipping. Glad I bought these.The color is very nice.